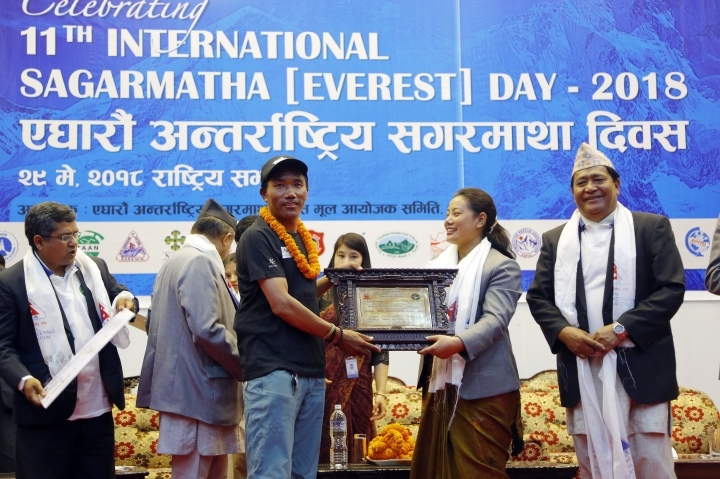 KATHMANDU, Nepal — Nepal honored several Sherpa guides for their Everest successes on the anniversary Tuesday of the first conquest of the world's highest peak. Those honored included Kami Rita, who just climbed the mountain for a record 22nd time. He said last week when he returned from the mountain that he plans to guide climbers to the summit next year as well. He first scaled Everest at age 24 and has made the climb almost every year since then. 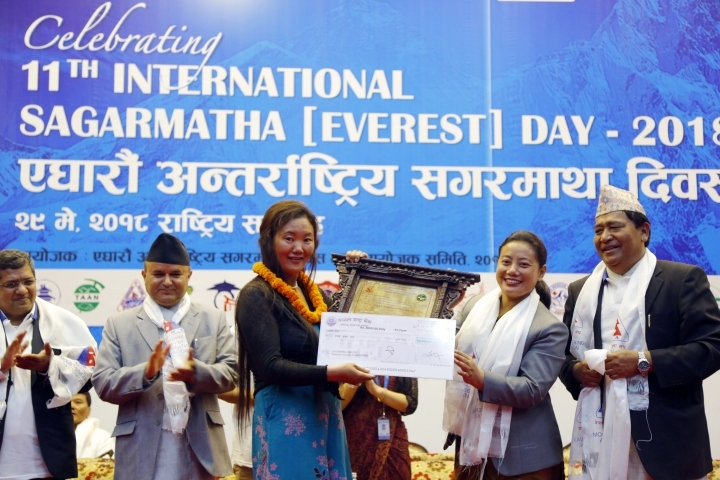 The ceremony also honored Lhakpa Sherpa, 44, whose nine climbs are the most for a woman. She lives in West Hartford, Connecticut, for much of the year and works at a grocery store when she's not guiding foreign climbers. She and her brother guided some 50 climbers on Everest earlier this month. The ceremony also honored seven brothers who all have made it to the top of Everest and have combined for 61 total ascents. A certificate issued by Guinness World Records was handed over to the brothers at the ceremony in Kathmandu. Since Mount Everest was first conquered, thousands of climbers have reached the summit, while more than 300 have lost their lives on the unpredictable slopes. An avalanche struck just above base camp in 2014, killing 16 Sherpa guides, while a year later another avalanche triggered by an earthquake ripped through base camp, killing 19 people.